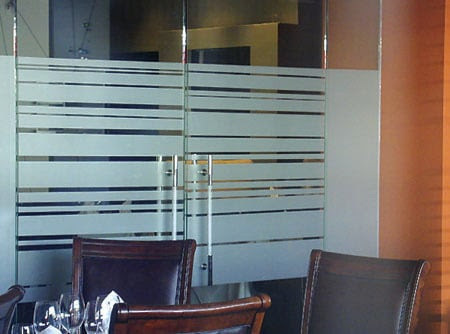 Do you have glass panels in your office? Aren't they a bit dull? Solar Art offers an easy answer to update your office. Custom Graphics are affordable, durable and beautiful just about anywhere you place them. Solar Art drafts, prints and installs graphics, from frosted glass to your company logo. Our films give you privacy, safety and character for offices anywhere in Los Angeles. All you have to do is ask us! Custom colors and complex images are a piece of cake for the specialists here at Solar Art. Any graphics you can think of, we can make. Our experts oversee your Custom Graphics from design to application and know each part of the process inside and out. From beginning to end, we help our clients with award-winning customer service. Meeting rooms, waiting rooms and individual offices are great spots to add decorative films and graphics. We offer a wide variety of personalization options to deliver exactly what you want. From new retrofits to stock patterns, these films are the best way for providing privacy or bringing in a design element anywhere you want. We offer small and large graphics for surfaces of any size. In addition, your design can be printed in any color, pattern or image arrangement you want. We can also add texture to films if you want privacy for conference rooms or offices. 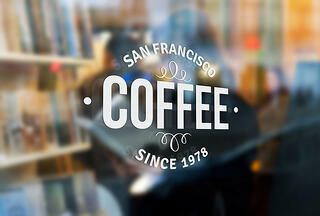 Logos - Tell the world what you stand for. We can custom cut your organization's logo using the decorative film to build your brand recognition. Distraction Dots - Though they vary in layout and size, these patterns help solve the normal safety issue of running into glass in offices around Los Angeles. These are tailor made to your preferences for film and layout. Privacy - Ideal for conference rooms and individual offices, these films provide partial to full privacy in your house or office. Your organization is unique, why not show the world? Logos and patterns added to your office will modernize decor while providing a helpful purpose. Receive a free estimate from Solar Art today.